For anyone who has to remain seated for an extended period of time, discomfort is inevitable. The probability of suffering from neck aches, back aches or muscular cramps is much higher if you have to sit down for hours on a daily basis. However, this is part of many jobs in office environments and sometimes cannot be avoided. While this certainly puts extreme pressure on your spine and coccyx region, the use of donut cushions will help to relieve this pressure and provide comfort. It is important to note that donut cushions are not just for those suffering from problems associated with sitting. They are the perfect solution for those who have injuries or discomfort in the lower region, for those who suffer from hemorrhoids, or even for women after giving birth. Donut cushions are unique for their circular shape and hole in the centre to allow for even weight distribution. 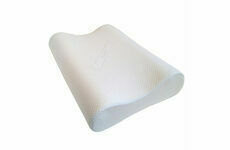 Usually made from memory foam, the cushions have molding properties so that comfort can be achieved with regular use. Donut cushions should be used on a flat surface such as a chair or bench wherever is necessary for you - this may mean in the office or at home. Ideally, your hips should be even with the edge of the cushion and it should lightly touch the backrest of the chair you’re sitting on. With your buttocks in the centre of the hole, you should lean forward slightly to help relieve the pressure off your back and pelvic region. Changing our sitting style is a great alternative for those of us who do not have as much time for the gym as we’d like. 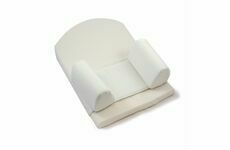 No matter what your reason for having to remain seated for longer periods of time, donut cushions are a fantastic solution for remaining comfortable and healthy. When used correctly, you are sure to reap the benefits.